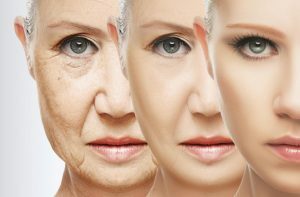 One thing is for sure if you do not have ample amounts or retain ample amounts of COLLAGEN- your “youthfulness” will vanish. Sometimes it can feel it has happened overnight! Especially for women, and starting in the 30’s a woman can lose up to 2%/year. It continues to decline (sorry for the bad news) into the 40-50’s. It is estimated that by the age of 50, most women just do not have enough collagen. So, someone in their 80’s is only producing 25% maybe of the collagen someone in their 30’s. Collagen is everywhere in the body…it is in all the organs and tissues. Collagen is a protein that support and maintains structure. Collagen’s sustains and offers nutrition to the tendons, skin (especially) and cartilage. Collagen instills and keeps integrity, firmness and elasticity to these structures. Remember- “STRUCTURE IS FUNCITON” – AskDrPat. Loose skin, fine lines, wrinkles. Note: UV radiation/free radicals drastically increases this process. Are you guilty of some or many of the above? What to do? Is your diet, lifestyle out of control?